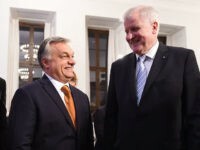 BUDAPEST, Hungary (AP) — Hungary has been referred to the European Union’s highest court for perceived failings to comply with the bloc’s asylum rules and is facing censure for legislation criminalizing the support of asylum-seekers by civic groups. 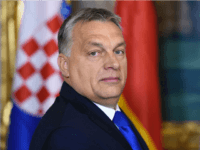 BUDAPEST, Hungary (AP) — A new set of laws would tax and possibly sanction Hungarian groups assisting illegal migration which receive foreign funding, Hungary’s government said Wednesday. 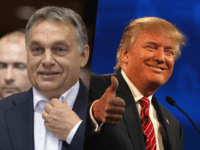 U.S. President Donald Trump has praised Hungarian Prime Minister Viktor Orbán, and said that meeting the populist leader is on his to-do list, Hungary’s ambassador has revealed. 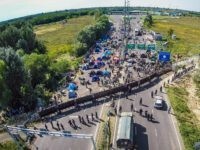 Identitarian activists from Austria and Slovenia travelled to Budapest to join Hungarian members of the movement to donate supplies to border officers working along the Hungary-Serbia border. 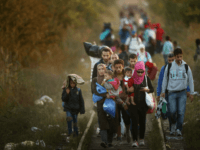 BUDAPEST, Hungary (AP) — The Hungarian government has decided to extend by six months, until March 2018, the state of emergency declared early last year because of the migrant crisis. 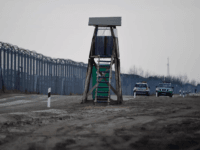 BUCHAREST, Romania (AP) — Romanian border police say they have detained 11 Syrian and Iraqi migrants who are suspected of trying to illegally cross the border and reach the Schengen zone. 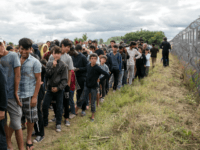 The anti-mass migration populist Danish People’s party (DF) have proposed building a fence on the border with Germany after making a trip to Hungary. 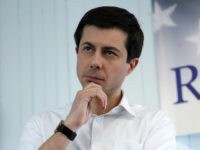 BUDAPEST, Hungary (AP) — Hungary’s new legislation allowing for the detention of asylum-seekers in shipping containers at border camps took effect Tuesday, with the European Union’s commissioner for migration saying that it needs to comply with the bloc’s rules. 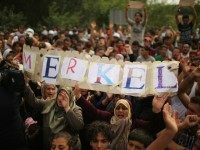 TOMPA, Hungary (AP) — A year after the European Union struck a deal with Turkey to stem the flow of migrants into Europe, asylum-seekers are still finding their way into Hungary – and the country’s populist government is doubling down protection of its border with Serbia with a new fence and controversial asylum rules. 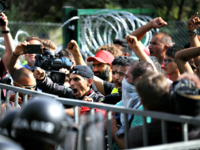 BUDAPEST, Hungary (AP) — A new fence being built by Hungary to stop migrants from entering the country will be completed by May 1 and a state of emergency giving authorities additional powers to secure the borders has been extended by six months, government officials said Thursday. 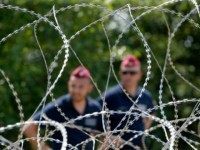 Hungary is to start building a new fence on the Serbian border in the spring to hold back an expected new surge of migrants. 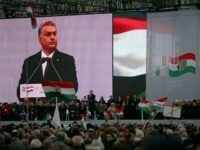 Hungarian Prime Minister Viktor Orbán urged Europeans to stand against the “Sovietisation” of Europe and said the continent must close its borders to migrants, at an event Sunday commemorating the anti-communist uprising of 1956. 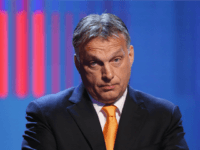 Hungarian Prime Minister Viktor Orbán has once again railed against the European establishment calling for the deportation over of a million migrants from the European Union. (REUTERS) – On a recent evening on Hungary’s border with Serbia, a fleet of police trucks raced along the dusty boundary. 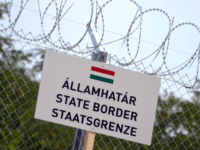 An imposing ex-bouncer in Hungary helps a controversial local mayor by tracking down illegal migrants who have made it across the fortified border.